My photography is in the Reader this week. you poor devil > Photography > My photography is in the Reader this week. 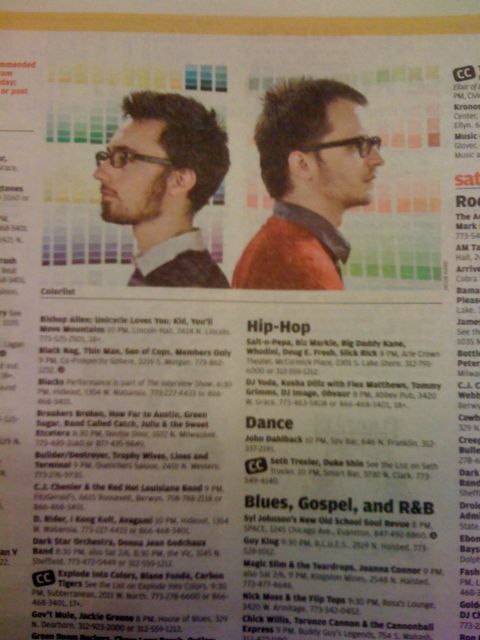 My photo of the Chicago group Colorlist is in the Reader this week (print only). Check it out on page 46. They will be performing tomorrow night at Heaven Gallery. You should attend! It is an album release party. ← I made it into PDN this month!